It's not easy to run city, town or municipality, and it is vitally important to make sure that emergency services, businesses, citizens and strategic facilities get the best possible electrical service at all times. After all, the public cannot properly function in this day and age without electricity, nor can a government. That's why it's exceptionally important to find the right electrical contractor, with ample experience and skill, who can handle jobs of this magnitude. If you exist in the Southeast, East Bay Electric LLC is the contractor you need. 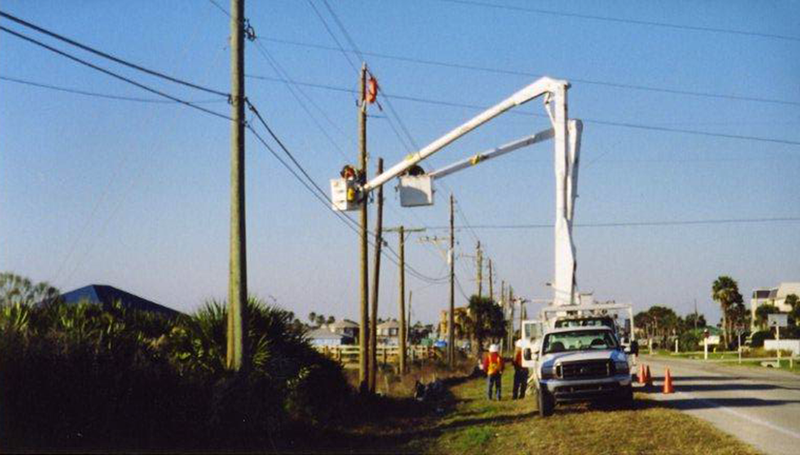 East Bay Electric LLC offers a vast array of important electrical services to suit the needs of any municipality or government entity in the Southeast. From emergency service and installation to complex electrical projects, you can count on East Bay Electric LLC to come through, to honor our bid, and to make sure safety and satisfaction are guaranteed. Don't take our word for it, just look at our track record. We also work routinely with the Department of Agriculture's Rural Utility Service Electric Program (RUS), getting affordable electricity to those citizens, emergency services and businesses in rural areas that need and deserve the same service that is delivered to urban areas. We understand the process and the requirements needed to comply with government assistance, so our experience can help streamline the process of getting the funding you seek. Whatever the project, whatever the contract, contact East Bay Electric LLC . We guarantee we can provide the solutions you seek.